KPMG, a global network of professional firms providing Audit, Tax and Advisory services released the CFO outlook survey in late March 2019, this international global survey of CFOs and other senior finance executives of Organizations worldwide is one of the most comprehensive and long running survey series of its kind. “The survey was conducted regularly since 2006, charting the evolution of finance departments and identifying leading financial management practices of high-performing companies. CFOs and Heads of Finance in leading organizations across all major sectors shared their opinions on the outlook for their businesses, their strategies for cost and risk management and the priorities for an enabling environment” KPMG said. The survey revealed that in contrast to 2018, CFOs are less optimistic about the prospects for growth in the Economy. Only about 17% of respondents were confident about the prospects of the Economy, representing a 29% decline from last year. Perceived political instability occasioned by the general elections, inconsistent government policies and exchange rates were some of the underlying reasons. CFOs identified that Profitability and Cost Management as the most important stay-awake issues the issues that keep them up at night. Similar to all other functions, skills and competencies of human capital are the most important factors in the effectiveness of the finance function which is closely followed by Data quality and clearer strategy. In this year’s survey report, 84% of CFOs agreed that their focus is right correct, however though execution is currently weak and can be improved upon. 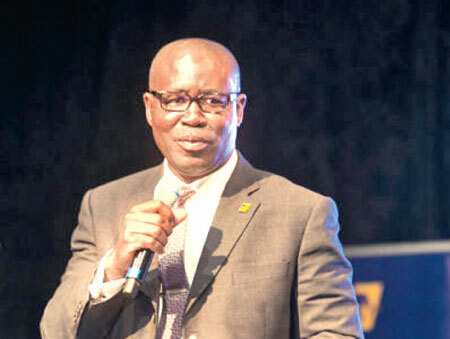 They are of the opinion that the efforts aimed at the improving the ease of doing business are yet to have an appreciable tangible impact on the majority of businesses. The outlook is similar in the Sri Lankan context as well, similar scenario matching upon to the Sri Lankan Context as well, at the industry level, CFO’s who are within the Financial Service Industry are not confident about the prospects for their industry with concerns on growth with the prevailing macro-economic factors. Similarly, concerns around on political uncertainty, regulatory inconsistency and ineffective implementation of policies related to industry challenges were some of the reasons adduced for the less optimistic views, globally. At the organizational levels though CFOs are more confident about the future prospects for their respective organizations they expect strategies to be implemented in the areas of technology improvement, digitization and cost performance and expect that these will positively impact on the company’s performance in year 2019. In contrast to 2018 in which Tax Regulatory and Government Policy concerns emerged as the primary stay-awake issue, this year indicates a returning focus to the traditional CFO stay awake issues. Which are Profitability and Cost management issues, Macroeconomic issues and Tax and Regulatory policy issues and Globally, CFO’s mostly raised their concerns in association with risk and strategy implementation themes. The survey also identified top impediments affecting for growth and profitability, and regulatory uncertainty tops the chart as the CFOs identified this as a key issue. Where in certain countries regulations are subject to different interpretations. From a sector point of view, Regulatory Concerns were more prevalent in the Financial Services Industry (42%) and Energy and Natural Resources Sector (22%) where respondents identified regulatory uncertainties as a major impediment. The other top four impediments to organizational growth and profitability include Political uncertainties, Fiscal Policy, Monetary Policy, and Access to Finance/Cost of Funds, as well as People/Talent Issues. Operational Performance – How effective are we? While CFOs identified Strategy-related activities as the primary focus of their role, the survey indicated that a significant proportion of the CFOs time (44%) is still spent on carrying out operational and reporting activities such as book-keeping, transaction processing, month & quarter-end reporting, etc. This indicates a need to leverage technology as well as other transformation initiatives, to minimize the time commitment of the CFO office to these activities to non productive repetitive tasks. It is expected that these investments will potentially free-up CFO time to focus on more strategic & value adding activities. Other areas identified where significant amounts of time is spent includes Compliance Control/Regulatory Investigations, Reporting and Investor/Stakeholder Engagement. When understanding the levels of satisfaction among CFOs in terms of their strategies they were relatively satisfied with strategies deployed in Regulatory, People, Planning and Working Capital Management. However, significant concerns were identified as to the effectiveness of strategies deployed in the areas of digitization, cost optimization and business partnering. Comprehensive emphasis was made on availability of skilled and competent personnel at the right levels as being most critical to an effective finance function. Thus underlining the need for people with the right skills to improve overall job effectiveness and maximize value investments made to improve the finance function. Moreover factors such as the physical environment, reward & recognition have been de-emphasized identified as critical as being critical t to the effectiveness of the finance function. Today’s businesses are in the era of technology-driven disruptions to business models. Customers/stakeholders expect organizations to be more agile, have better interaction with customers and provide real-time solutions to address their needs. While technology has enabled these disruptive business models, increasingly, cyber risks have emerged as a primary concern across board. 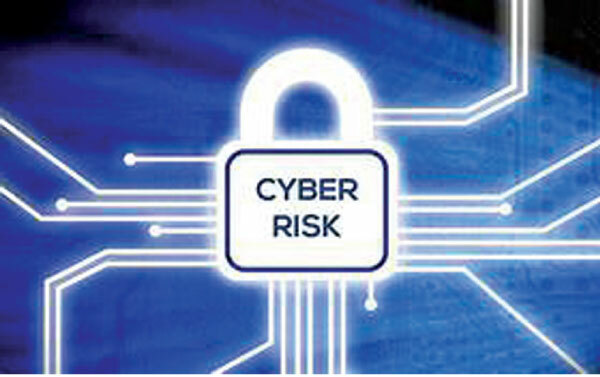 We have witnessed significant adverse impacts of cyber-attacks on organizations revenue, reputation, share prices etc. Throughout the CFO survey it was agreed that their company’s approach to managing cyber risks is still inadequate. It would appear however that the majority of respondents recognized the importance of managing cyber risks and are satisfied with their company’s approach in this area. Past KPMG Experience also shows that this is an area that requires continuous vigilance. KPMG’s Michaux agrees that cyber vigilance has moved up the agenda. “No matter what industry you’re in, data is the lifeblood of modern business,” she says. Reviewing how organizations have employed analytics for decision making in their operations, it was found that the majority of CFOs. use of analytics varied across segments, there is still a very significant proportion of CFOs (about 50%) who are either do not currently using analytics capabilities within their operations or utilizeing it only for descriptive purposes (i.e. what has happened). Therefore based on the reviews and responses there is significant scope for use of analytics as a decision support tool (i.e. prescriptive and predictive use). In this respect, process improvement & cost efficiency; regulatory compliance and Fraud analysis & prevention are some of the potential areas of application for advanced analytics capabilities. Use of MS Excel has been identified as the most prevalent analytical tool, with over 50% of respondents identifying MS Excel as the primary tool employed. Other tools employed include: SAP/ERP, PowerBI, Kibana, In CMS are the major analytical tools being used by CFOs to achieve their purposes. Use of Microsoft Excel would indicate a highly manual analytics process and also corroborate the dependence on descriptive analysis to support management decision making. The top three (3) areas expected to unlock growth as identified by CFOs were: Infrastructure, Macroeconomic Environment, Tax and Regulation. While Infrastructure has always been prominent in our surveys, year-on-year, it is even more relevant to the agenda of the business community, and their heightened expectation for government to deliver on this key area to unlock growth. While Infrastructure has always been prominent in our surveys, year-on-year, it is even more relevant to the agenda of the business community, and their heightened expectation for government to deliver on this key area to unlock growth. In line with the identification of infrastructure as the key area to spur economic growth CFOs have further identified power, security and logistic/distribution provision as the key infrastructural challenges faced by their businesses. Finally on conclusion, examining this year’s survey 84% of the surveyed CFOs agreed that the focus is right, however execution is currently weak. 44% CFOs from Financial Services Industry, 31% CFOs from Consumer and Industrial Markets and 24% CFOs from Energy and Natural Resources sectors agree with this same perception. Therefore the analysis suggests that the impact of weak execution is either felt more in the Financial Services sector or that sector is at present more vocal in its agitation for a more conducive business environment. KPMG released the CFO outlook survey in late March 2019; this international global survey of CFOs and other senior finance executives of Organizations worldwide is one of the most comprehensive and long running survey series of its kind. The survey was has been conducted regularly since 2006, charting the evolution of finance departments and identifying leading financial management practices of high-performing companies. CFOs and Heads of Finance in leading organizations across all major sectors shared their opinions on the outlook for their businesses, their strategies for cost and risk management and the priorities for an enabling environment.